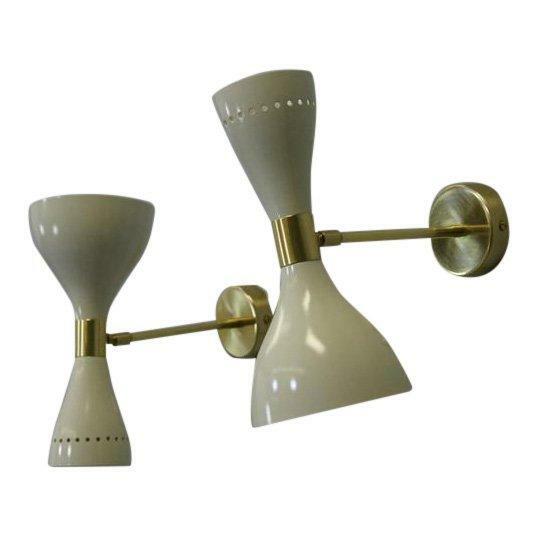 Pair Italian Sconces. 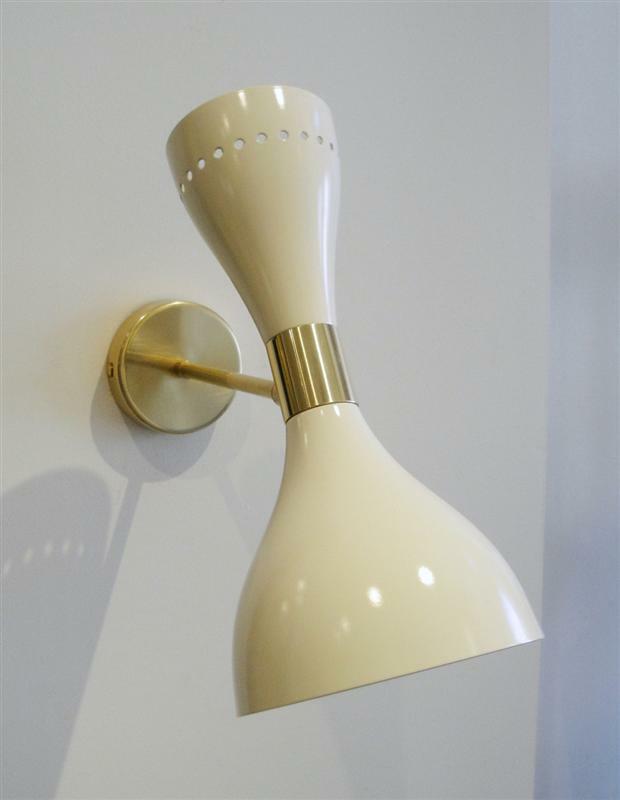 Ivory enamel on aluminum with brass arms and fittings. Sconces can be positioned at any angle. Each sconce takes two Candelabra bulbs. Brass arms, fully restored shades.